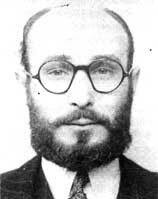 Of all the spies who made their contribution to defeating the Nazis during World War II, the story of Juan Pujol García is one of the most compelling. His deeds were a considerable help to the Allies in conducting a successful D-Day landing in Normandy as he was one who fed the Nazis fake news concerning the Allies and their movements. It is also remarkable how he dealt with his wife who, at a crucial moment, threatened to out him as a spy. Barcelona-born García was in his mid-twenties and manager of a chicken farm at the outbreak of the Spanish Civil War. He was, for sure, no James Bond. Raised in a household with liberal political ideals, García held a strong personal view that no ideology, especially not an extreme one, should come at the cost of human lives, and that is why he never shot a bullet during the Spanish Civil War. Pressed into service by the Spanish Republic, he was also involved with the anti-Republic resistance group. Feeling stuck between the choice of choosing a communist or a fascist team to support, he picked neither and played them both. It seems only natural after his experiences that, when World War II broke out three years later, he decided to offer himself to the British war effort. In the beginning, however, British officials declined his services, so he needed to walk an alternative path until he officially became a British spy. He then deliberately decided to play a double agent, making himself known to the German military intelligence services, in those days known as the Abwehr. Based in Lisbon, he negotiated with the Germans that he would spy on the British, persuading them that he was a London-based diplomat. He claimed this regardless of the fact he had never spent a day in Britain in his life, nor did he know a word of English. Luckily, the Germans bought his story, and they provided him with training and resources. He was assigned the task of developing a spies network across the island. To accomplish the assignment, García supposedly read every book he could find in libraries of Lisbon to find out everything he could about Britain. He proceeded with “developing” the network of agents, but all these people–at one point 27 in total–were inventions. He came up with their background stories, and they allegedly “streamed” information, which he then shared with the Germans. He would report to the Germans about movements of army troops that had never actually existed, and he even sent this information from Lisbon, not from London, lying that he used a pilot who flew between the British and Portuguese capitals to distribute his reports. To the Germans, it never occurred that everything he did was a fabrication. His agent name among the Germans was Arabel. Quickly enough, the British became aware of his activities and he then started work as their agent as well, designated agent “Garbo” after the Swedish-born actress Greta Garbo. The British wanted him to keep the Abwehr happy with information about alleged movements of the Allies. His primary contact and colleague on the British side at this point was Tomas Harris, a security officer who was fluent in both Spanish and German. As a British agent, García was brought to live in London, along with his wife and children. At first things ran quite smoothly. García needed to keep the Germans fresh with precise information about movements of British forces, but he would deliver such news strategically. If it were an essential piece of information, for instance, he would send it out too late, but still proving that his sources were ones of relevance. 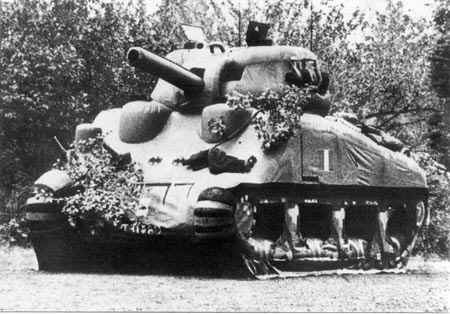 An inflatable dummy M4 Sherman tank. His tasks evolved, and the most important one was to keep the Nazis informed about a planned invasion. He fed them information that the D-Day landing would occur not in Normandy, but at Pas de Calais. Everything was running without flaw, keeping both the Germans and British satisfied with his services, until one day his wife, Araceli Gonzalez de Pujol, flew into a rage, out of control, complaining that she was homesick, that she wanted to return to Spain to see her mother. She had no friend to talk to in Spanish and hated London. Going to the Spanish embassy in London would have meant potentially revealing García as a spy and placing significant information in the hands of fascist networks. 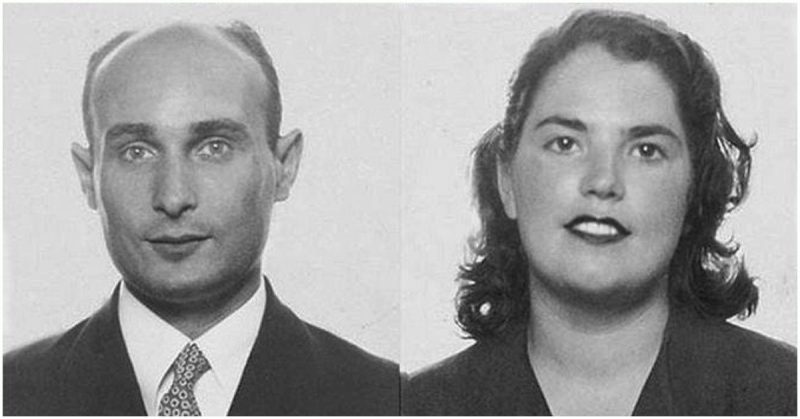 So before plans and intelligence efforts for D-Day were to proceed, García needed to eliminate even the smallest probability of his wife going there and outing him. If she did, the outcome of the war itself was in question. García was unquestionably intelligent, so, with the help of his colleagues from MI5, he now went on to deceive his wife with one such story too. MI5 officials came to visit Araceli the day after the row, informing her that her husband had ended up in prison. The reason: her threats to pay a visit to the Spanish embassy. When she heard this, Araceli burst into tears, begging to see her husband. She was taken to MI5 facilities the following day. Blindfolded, she was taken to the MI5 Camp interrogation center, based in West London, only to see her husband looking unshaven and wearing camp clothes. Araceli instantly protested that she never meant what she had said and that she would never, in reality, reveal what her husband was doing, explaining that her reaction was out of control only because she wanted to go back to Spain. According to Harris, she also vowed that if only he were released from prison, she would “help him in every way to continue his work with even greater zeal than before.” García’s cunning plan had indeed worked out, and the possibility of the threat was eliminated. After he was “released from prison,” the double agent continued working on the D-Day plan, steering the attention of the Germans toward the wrong location for the set invasion and ensuring that the D-Day troops would have the tactical advantage so much needed for their June 1944 operation. For his accomplishments and contributions, García was later decorated by King George VI. Ironically, he also received the Iron Cross from the Nazis. Once the war concluded, worried about Nazi payback, García fabricated his own death, allegedly dying from malaria while staying in Angola. After that, he opted for a peaceful family life and settled down in Venezuela. He divorced Araceli and married another woman with whom he had started a new family. He passed away in Caracas in 1988, at the age of 76.